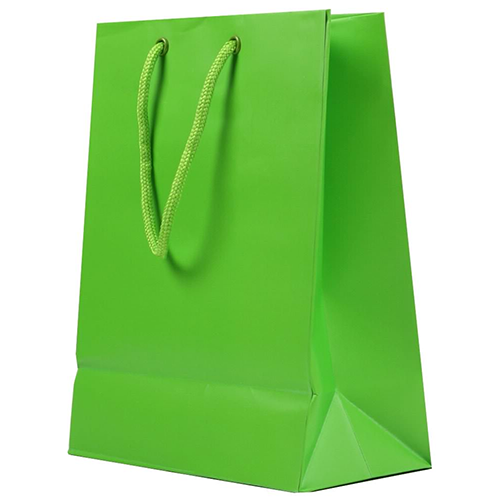 Green Gift Bags for all occasions! Our wide assortment makes sure that your love for the color green is not only enjoyed but given to everyone else to enjoy as well. Our assortment of different kinds of bags will work for any kind of event. From birthdays to Christmas, from St. Patrick's Day to environmental fundraisers, you'll be sure to give everyone the perfect gift or party favor. Our Green Gift Bags come in over a dozen sizes, from small to extra extra large! And the different kinds of bags are great. From our normal gift bags that range in color and finish to merchandise bags to lunch bags. Lime Green, Teal, Hunter Green, Christmas Green - your love of green will certainly be matched. We also have finishes in Matte, Glossy, Frosted, and Paper - for whatever needs necessary. Make sure to browse through our beautiful collection by clicking through our sizes then colors and have a fun time doing it as well!